We've worked out that Barkers is conveniently placed if you're either on your way or have just come from Ikea - eat before if you need some strength to face the crowds or eat after to soothe those frazzled nerves. Today we've just managed to survive Ikea, a celebration is in order. 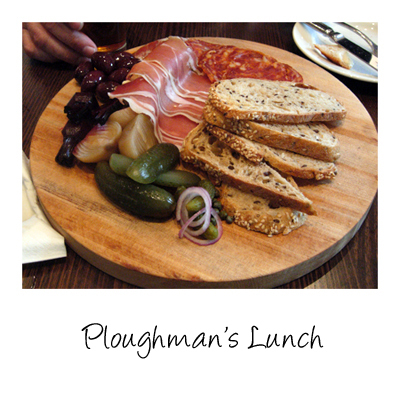 As the bistro is full we're back in the wine bar for lunch. 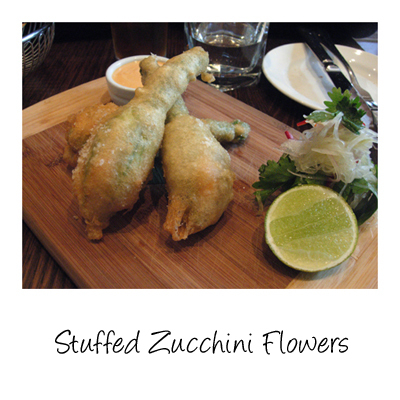 This was a special of the day and as soon as Paalo heard the words stuffed zucchini flowers he knew he had to order it. These are stuffed with a salmon mousse and coated with a good crisp batter. 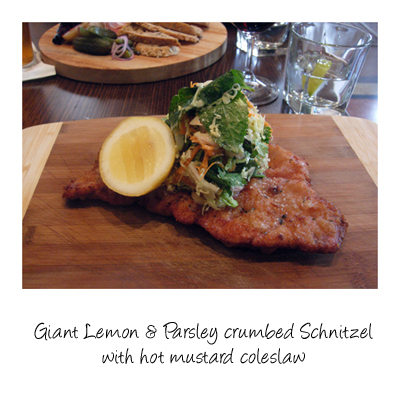 I've opted for the giant schnitzel though I wouldn't class it as giant. It is large but unlike those mass produced versions with grey meat inside, the meat here is still pink and juicy. I especially loved the coleslaw with it's spikes of nostril flaring heat. No time for dessert, we have a date with flat pack furniture!